Temperament: Loving, loyal and outgoing companions, with a drive to work. Shiloh Shepherds originated over half of their founders from the Shiloh kennel breeding program of GSDs which began in the 70s; 16 out of 20 of the founders contain dogs directly or indirectly from that kennel. Two of these Shiloh founders from that line had crosses from other breeds, such as flock guardian dogs and malamute. Later, some outcrosses were done to a long haired GSD/GSD derived herding stock, a white shepherd, a GSD, and a Czech wolfdog. 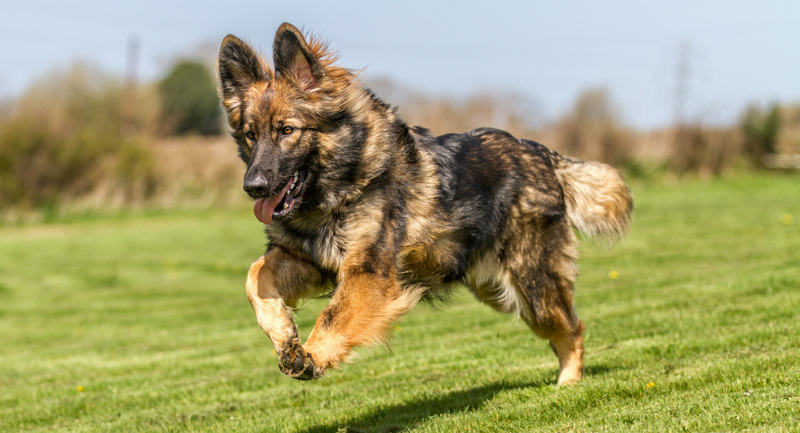 Like many large breeds, Shiloh shepherds are prone to bloat (GDV). They also suffer from hip dysplasia, occasional panosteitis. Exocrine pancreatic insufficiency is also a concern in Shiloh shepherds. The currently tested population of Shiloh Shepherds is in Hardy Weinburg equililbrium or close to it, which means breeders are doing a good job not inbreeding at present. Genetic analysis of the breed shows that dogs from different regions fall within the same breed, but with some different genetics developing in different regions of the world. United States based Shilohs appear to have genetics that compare to dogs worldwide, while other regions appear to be becoming genetically distinct. This breed has thus far been found to have very low levels of average alleles of 4.33 and also low effective alleles of only 2.63. This indicates a severe bottleneck likely due to low number of founders for the breed. The 86 Shiloh Shepherds in this study possessed only seven DLA class I and five DLA class II haplotypes. This is the lowest number of DLA class I and II haplotypes identified in any other breed to date and is a reflection of the small number of founders that contribute to DLA diversity in contemporary Shiloh Shepherds. However, further study and testing of Shiloh Shepherds may find more DLA types over time. Three DLA class I (1052, 1065, 1165) and II haplotypes (2017, 2053, 2080) are found in 88% (DLA class I) and 93% (DLA class II) individuals. The Shiloh Shepherd is a breed that has been bottlenecked on a small number of founders. Careful conservation of the existing diversity is needed. Breed for Low IR, lower than breed average AGR (average genetic relatedness) and high OI (outlier index). Breed for two different DLA types, with emphasis towards the less common DLA when able. It is possible more genetic diversity and DLA types will be found as more Shilohs are run.